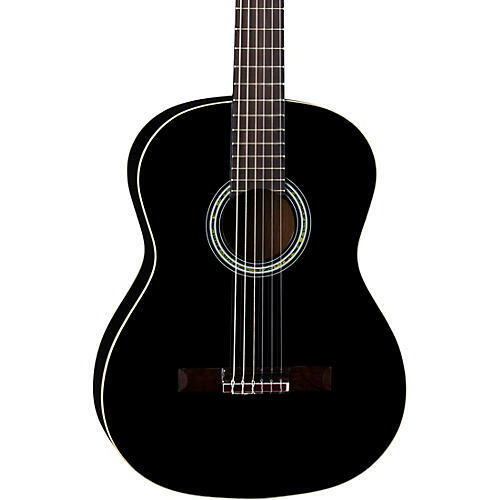 Dean's Espana Classic Black acoustic guitar features a mahogany body with a sitka spruce top and is a joy to play. It comes standard with a set mahogany neck with blackwood fingerboard, and its single-ply white binding against the classic black gloss finish job gives the Espana Classic Black an added touch of class.Case sold separately. Dean's Espana Classic Black acoustic guitar features a mahogany body with a sitka spruce top and is a joy to play. It comes standard with a set mahogany neck with blackwood fingerboard, and its single-ply white binding against the classic black gloss finish job gives the Espana Classic Black an added touch of class.